ABOUT FRANK | Frank Korsström, country managing director for Finland (2006–) and managing director for the Nordic region (2007–), joined Accenture in 1998 as a partner. Prior to joining Accenture, he worked in Finland, Sweden and France as a consultant. Frank possesses over 32 years of consulting and industry experience, and during his 18-year career with Accenture, his responsibilities have spanned many industries, though with a particular focus on Industrial Equipment and other Products sub segments. In his current role as the managing director for Finland and the Nordics, Frank is focusing on positioning Accenture as a thought leader and go-to partner in the field of digitalization as a means to boost growth. Frank graduated from the Helsinki University of Technology with a M. Sc. in Engineering in 1983. He also holds an MBA degree from the Swedish School of Economics and Business Administration. WHAT'S ON THE HORIZON | I see a bright future for all companies, public bodies and their employees embracing the vast opportunities in the field of digitalization. With the exponential ICT development around the corner, it is only our imagination that sets the limits for what can be achieved. Be open and join the movement! ABOUT KARI | Kari joined Accenture in 2009 from a management consultancy where he worked as a partner for eleven years. During his 30 years in business, he has always worked with sales and marketing related topics. Kari has had a keen interest in CRM-related business issues from the early 90’s, when he started to work with direct marketing and telesales in a multi-channel environment for IBM. Since then Kari has worked with a number of industries focusing on creating value with an “outside in” perspective to increase customer understanding for higher profits. He has written several books about the subject and has been a keynote speaker on international forums. Kari is passionate about client work and delivering value through new digital channels, products, business models and more effective ways of working. He is also a true believer in team work with clear roles and responsibilities to strive for the best results. Kari holds a master's degree in International Marketing from the Helsinki School of Economics..
WHAT'S ON THE HORIZON | Digitalization continues to drive business opportunities as well as threats. Companies must renew their capabilities to be able to compete against both traditional as well as new competitors. Keeping up with digital disruption can’t be done with organic development only. Most companies need to consider M&A activities as well as hiring external help to boost development and to close the competence gap. Finally, one must be able to cannibalize one’s own business before someone else does it anyway. ABOUT VILLE-MIKKO | Ville-Mikko is passionate about technology and what it enables. He views everything through the eyes of an architect and a strategist: How everything is structured, how it works—and how it can be made to work even better. During his career, Ville-Mikko has consulted IT and business leaders across industries in strategic technology and IT topics, defining and executing large-scale transformations. He has spent most of his career with technology strategy and enterprise architecture, but in recent years his focus has shifted into Cloud and IT infrastructures, driven by the profound transfer away from legacy technologies and business models towards public cloud services. Ville-Mikko holds a Master of Science degree in Telecommunications Management and IT from Helsinki University of Technology. WHAT'S ON THE HORIZON | Rotating into the new. Entire industries are being fundamentally changed by digitalization enabled by Cloud, resulting in new business models, innovation and technical advances. Traditional IT providers are struggling with their core businesses. True Cloud providers, like Accenture, who build on the new foundation will be successful in innovating with their clients and prosper with them. Automation will continue to drive up productivity—crucial to us in Europe with our aging populations—both in business processes execution with robotics, as well as in IT, with agile DevOps practices and tools in the cloud. I am excited to be leading a business that combines the innovative foundation from cloud, strong consulting and transformation capabilities to help our clients rotate to the new, and unmatched capability to operate our clients’ business processes, cloud applications and digital infrastructure. There’s nowhere else more exciting to work than at Accenture, with analyst-recognized cloud leader capabilities and partnerships with SAP, Microsoft, Amazon Web Services and many others. ABOUT PEKKA | Pekka has a 20 years of experience in strategy consulting and is currently leading Accenture Strategy in Finland. Pekka has extensive experience helping companies develop and implement their strategies, achieve step changes in their performance and transform their operating models. His recent projects have focused on growth and digital strategies, acquisitions and merger integrations, company-wide operating model change—as well as profit improvement programs. Furthermore, Pekka has been working with functional improvement programs in the commercial function, operations, procurement as well as support functions. Pekka holds a MSc (Eng.) degree from Aalto University, School of Science as well as an MBA from INSEAD. WHAT'S ON THE HORIZON | The future looks very exciting as digital is bringing significant disruption across industries. In his role as Finnish country lead for Accenture Strategy, Pekka is aspiring—with the support of Accenture’s market leading digital service design, data analytics and agile IT capabilities—to help Nordic and Finnish companies to transform to the digital era, create new business models, new services, achieve a step change in internal efficiency and create new agile ways of working. By working in close partnership with our clients, our goal is to further strengthen our position as the #1 player in digital strategy and transformation and be a talent magnet for professionals aspiring for a career at the intersection of strategy and technology. ABOUT YACINE | Yacine has 20 years of experience from the field of digital and cyber security and is currently leading Accenture Security in Finland, in addition to leading Health and Public-Sector Security clients across Europe and Latin America. Yacine has extensive experience from different fields of security from small consultative projects to large and transformative outsourcing engagements. Yacine is enthusiastic about changing the security posture of the whole nation and is seldom speaking or presenting on related topics to different audiences. WHAT'S ON THE HORIZON | Security is a great area to work in, as everything is becoming digital, also the risk posture of all organizations changes drastically. The impact of geopolitics can be seen in a matter of seconds from different events, combined with the increased demand from clients for trust combined with agility. Accenture Security is best positioned to help our clients with our industry knowledge, combined with best in industry solutions and people. Our team is motivated and working hard to help our clients from board room strategy to Managed Security Services with both a global and local footprint. Security cannot be seen simply as an add-on – it needs to be a part of everything we do. Most of us have a “security system” in our cars, but what about our digital environments? ABOUT PEKKA | Pekka has a master’s degree in Technology and an eMBA from Oulu University. 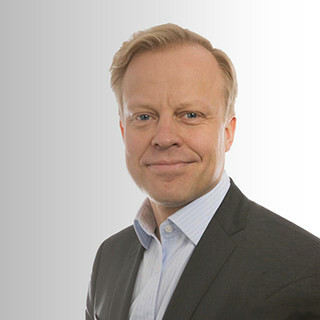 Before his consulting career at Accenture, Pekka had long industrial career and worked in various management roles in production, supply chain management and business development areas. Since joining Accenture, he has worked in Resources business unit mainly with Accenture’s metal, forest and utility clients developing operating models and supply chain operations and managing large business transformation programs. Pekka started his current role as Resources industry country lead in January 2016. WHAT'S ON THE HORIZON | Our clients in the Resources industry are going through significant transformation to meet the intense global competition and other ongoing changes in their markets and operating environments. With our deep industry expertise and our global delivery network, Accenture can support our clients to manage critical business transformations—and continuously improve their operations to build profitable and sustainable future together. ABOUT KYÖSTI | Kyösti’s educational background is in Helsinki School of Economics. Before joining Accenture in 1997, he worked in consulting and retail industries. Currently Kyösti is leading Accenture’s Financial Services business in Finland. Under his leadership, Accenture has grown to be one of the leading consulting, technology and outsourcing providers for the Finnish Financial Services industry. In addition to his broad experience in operating with major Nordic Financial Services institutions, Kyösti has a long successful track record in various consulting, large business and IT transformations, outsourcing, process development and leadership positions. WHAT'S ON THE HORIZON | Digitalization continues to be the key driver for the Financial Services industry. Themes such as Fintech, regulation and automatization including robotics become more and more visible. The increased focus on partnering with Fintech start-ups and a continued emphasis on removing friction from the customer journey will be significant trends. Everyday bank with ecosystem will be one key to win the market. ABOUT MARKO | Marko leads Accenture Finland’s Health and Public Service practise which partners with leading government and healthcare (private and public) organisations to innovate and deliver digital solutions to provide better citizen experience, increase efficiency and deliver better outcomes for citizens and patients. We specialise in defence, public safety, electronic medical record renewal, cyber security and technology consulting. Since joining Accenture in 1999, Marko has worked with various Finnish Healthcare and Public sector organisations in management consulting, sales and large program delivery roles. His specialisation is on Operational Excellence, Epic EMR implementation and digital health. Marko holds degrees from Henley Management School (MBA) and University of Helsinki (Psychology). WHAT'S ON THE HORIZON | I am passionate about how Health and Public Services can be transformed by digital technologies and how they can improve the quality of life for citizens and patients and at the same time make services more affordable and accessible. Analytics, artificial intelligence and virtual reality will be powerful tools to deliver outcomes that we cannot yet imagine, and they will fundamentally change how services are delivered as well as how government organizations and jobs will look like in 10 years. ABOUT ARI | Ari joined Accenture in 1995 and has since served clients in the telecom, industrial and retail sectors. Currently Ari leads Industrial Equipment, Retail and Consumer Goods industry in Finland as well as Accenture’s Nordic Automotive and Industrial Equipment business. Ari is an expert in IT-led business transformation and driving change in global organizations. He has been leading a number of major global ERP programs resulting in successful implementations in more than 70 countries on all continents. His long ERP experience serves as a sound basis for him to help Finnish industrial manufacturers and retailers to succeed in global competition by introducing automation and digitalization benefits and to improve their operations and boost sales. This is done by continuing the business transformation to fully utilize the possibilities provided by integrated business systems. WHAT'S ON THE HORIZON | Industrial manufacturing and retail are living through a massive revolution of digitalization. As an automation and robotics engineer, I am dedicated to drive Accenture’s Internet of Things agenda to help my clients to move to new areas whether they are integrated engineering and manufacturing, automated supply chain operations in warehouses or even mobility tools for the future connected field engineer. In all these cases, the new solutions are based on connectedness, analytics and intelligence. ABOUT ANNA | Anna leads Accenture Finland’s innovation agenda. Anna first started at Accenture in 2007, working as a technology strategy consultant. She had already back then a strong passion for new technologies that enable significant change in the way business is done. In 2010-2015 she worked as a communication strategist & development director for a local agency and returned to Accenture in 2015 to combine her understanding of the possibilities new emerging technologies bring and how to get people onboard to actually make the change happen. Lately, she has been working on a digital transformation program as consulting delivery lead. Anna holds a Master of Science of Economics & Business Administration degree from Aalto University. She also has minors from Aalto University of Technology (computer science) and University of Helsinki (psychology). WHAT’S ON THE HORIZON | Strategic landscaping and business agility are two topics that are becoming more and more relevant for business renewal discussions. The amount of data enables smart organizations to transform their thinking from being reactive to changes in business environment to being proactive in shaping the market around them. ABOUT MIKKO | Mikko joined Accenture’s finance team as Business Controller in 2007, and in 2011, he started in his current role as the Finland Finance Lead. Prior to his employment at Accenture, Mikko established career in the business control functions of leading companies in IT and petrochemical industries in Finland. WHAT'S ON THE HORIZON | Digitalization is a key theme also for internal support functions. During the past few years, the nature of work in finance functions has changed rapidly and profoundly from traditional “number crunching” towards a business advisory role. The change is largely due to the digitalization of core finance processes as well as the fast development of methodologies for data handling and analytics. This is an exciting time to be part of a team of finance professionals working to optimize business both for Accenture and our clients. ABOUT MARJA | Marja Hyvärilä is an HR professional with experience in change management and communications consulting, as well as a vast variety of HR roles. Most of Marja’s career she has been operating and leading business in the areas of change management, supply demand management, people resourcing, performance management, inclusion and diversity and culture change. With combination of consulting and HR roles Marja has built a vast knowledge on the talent ambitions within the competitive talent market. Marja holds a Master’s degree from Helsinki University of Technology. WHAT’S ON THE HORIZON | The success of the business lies in the talent the company is able to attract, retain and develop. Being part of world’s largest people business and being able to offer endless unique and exciting careers for our people is a great privilege. Accenture’s unique people culture with focus on inclusion and diversity inspires me every day and challenges all of us to join forces to imagine and improve how world works and lives. In the horizon I see an interesting mix of workforce where talent remains to be the key competitive advantage together with endless opportunities of digitalization, robots, AI and virtual reality. Future workforce will be even more diverse we can imagine today.